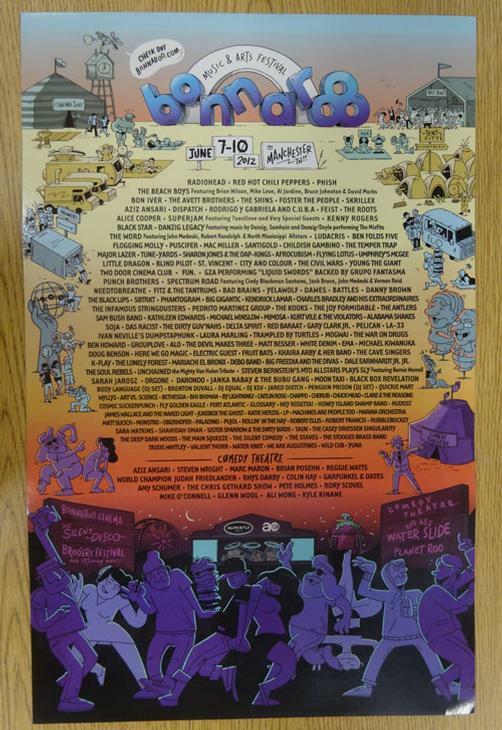 Original festival poster for Bonnaroo Music Festival in Manchester, TN in 2012. Line up included Phish, Radiohead, Red Hot Chili Peppers and many more. 14 x 22 inches.